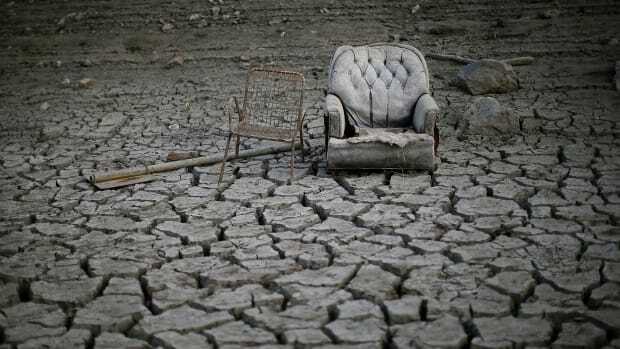 From the Dust Bowl to the BP oil spill, explore some of the most notorious environmental disasters of the last century. Around World War I, homesteaders flocked in mass to the southern Great Plains, where they replaced the native grasses that held the topsoil in place with wheat and other crops. Eschewing sustainable agricultural practices, such as crop rotation, they managed to reap big harvests during the wet years of the 1920s. 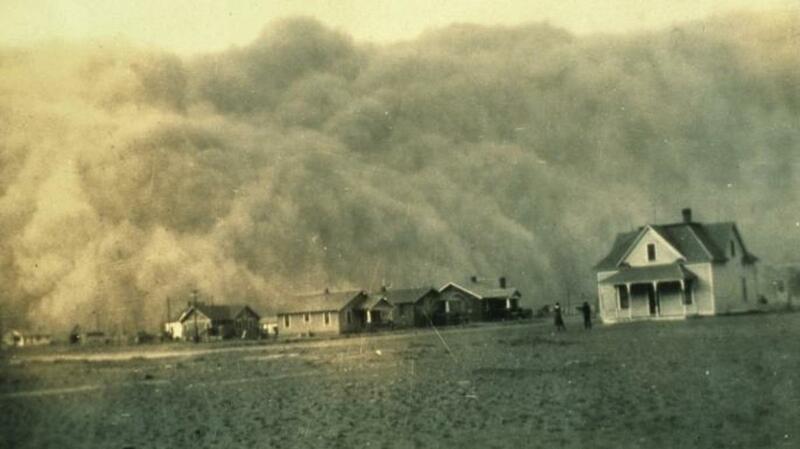 But when a prolonged drought struck in the 1930s, the now eroded and nutrient-poor soil began blowing up into huge dust clouds that ravaged the landscape. 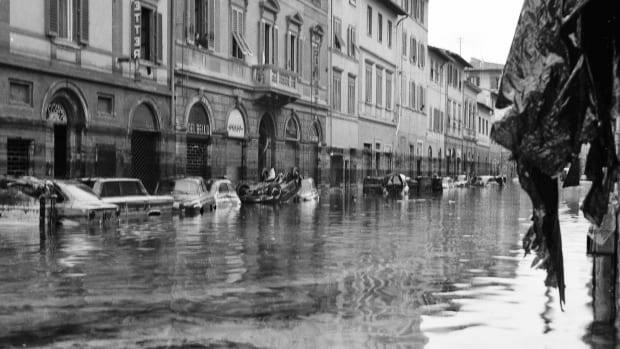 As one “black blizzard” hit after another, harmful dust particles accumulated in people’s lungs, causing hundreds of deaths and sickening thousands. Dead livestock and wildlife littered the ground. By the time the drought ended, up to one-third of the most affected homesteaders had fled the Southern Plains for greener pastures. As a bitter cold snap gripped London late in 1952, its inhabitants used unusually large quantities of coal to heat their homes. Soot poured out of their chimneys, mixing with factory and power plant emissions to form an acrid-smelling fog that hovered over the city from December 5 to December 9. Trapped in by a high-pressure weather system, as well as the lack of wind, this toxic stew reduced visibility to near zero. Abandoned cars dotted the roads, movie theaters closed because no one could see the screen and some people even accidentally stumbled into the Thames River. 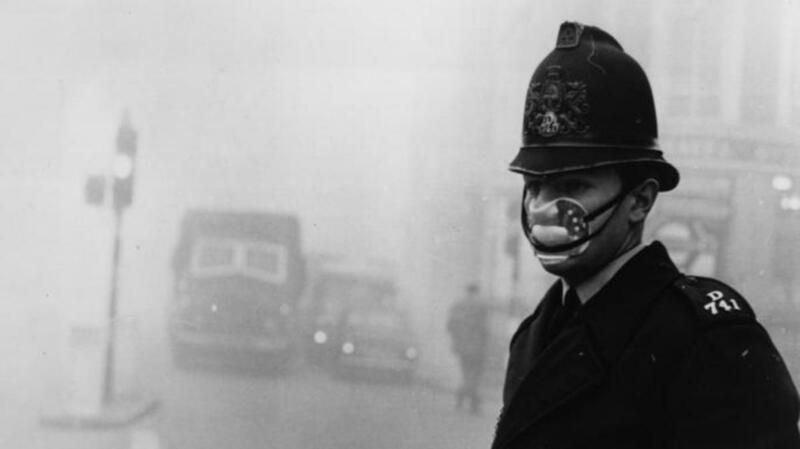 Worst of all, about 4,000 Londoners died of respiratory ailments over those few days, and up to 8,000 more would succumb in the months that followed. Recent research shows that those in the womb at the time of the so-called Great Smog of 1952 grew up performing worse in school and were less likely to hold a job than their peers. In the early 1950s, the residents of Minamata, a small coastal city in southern Japan, began observing some startling animal behavior. Cats would suddenly foam at the mouth, dance around wildly and throw themselves into the sea, whereas birds would crash land and fish would inexplicably go belly up. Before long, humans too were suffering from what became known as Minamata Disease, slurring their speech, stumbling about and having trouble with simple tasks, such as buttoning buttons. The culprit finally emerged in 1959, when it was determined that the chemical company Chisso Corporation, one of Minamata’s biggest employers, was dumping mercury into the sea as part of its manufacturing process and that this toxin was poisoning people (and animals) who ate the local seafood. 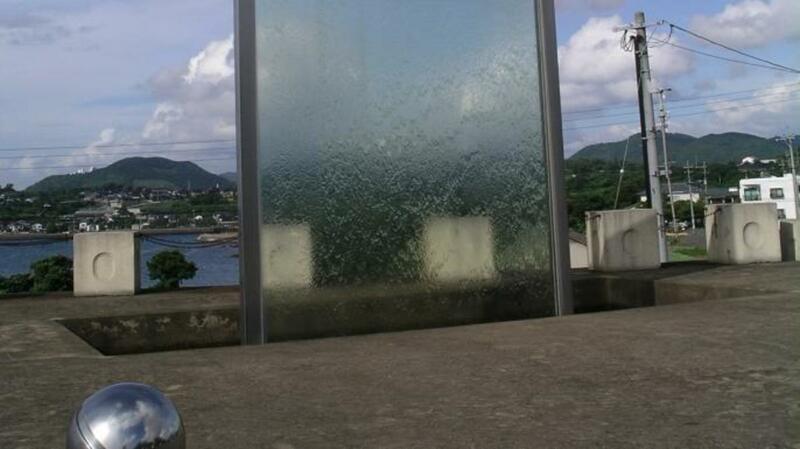 Chisso continued releasing mercury-tainted wastewater until 1968, reportedly causing at least 2,000 deaths, as well as birth defects, paralysis and other maladies. In the predawn hours of December 3, 1984, a toxic cloud of methyl isocyanate gas escaped from the Union Carbide pesticide plant in Bhopal, India, and quickly spread throughout the city. 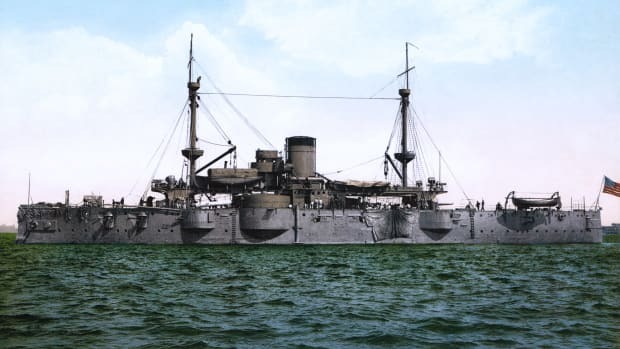 Vomiting and gasping for air, those who didn’t die in their sleep poured into unprepared area hospitals or desperately attempted to outrun the fumes. Dog, bird, cow and water buffalo corpses reportedly lined the streets. Investigations later uncovered a slew of safety violations at the plant, including broken and outdated equipment. Lax management also played a role; a supervisor, for example, allegedly broke for tea at the moment of crisis, believing it was only a water leak. 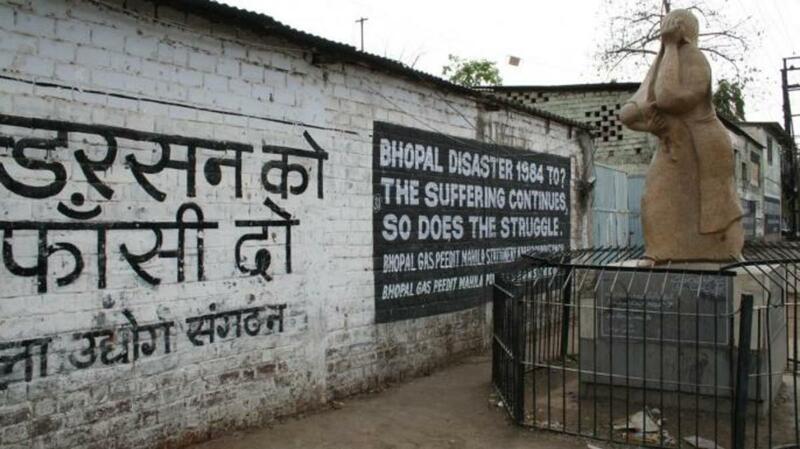 Though estimates vary, roughly 15,000 Bhopal residents are believed to have died in what’s often referred to as history’s worst industrial accident. Hundreds of thousands of additional inhabitants suffered afflictions ranging from memory loss and nerve damage to blindness and organ failure. To this day, the site of the plant, now owned by Dow Chemical Company, remains highly contaminated. 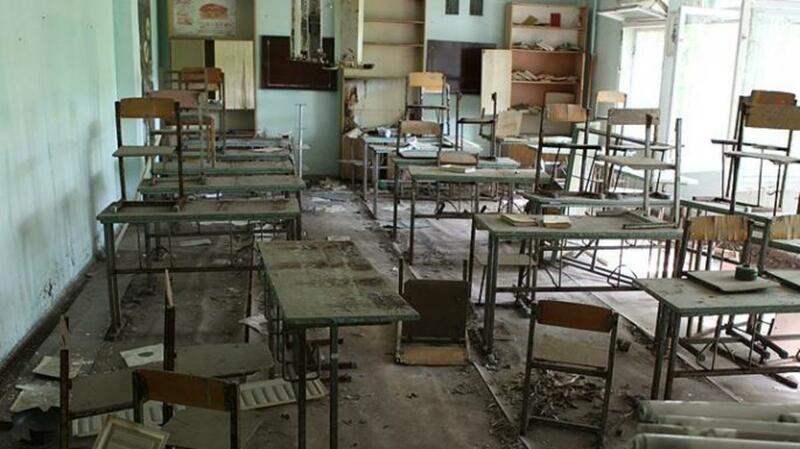 An abandoned school in Pripyat, Ukraine. 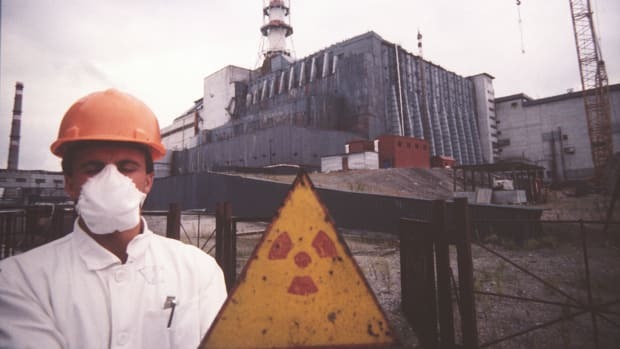 On April 26, 1986, a turbine test on one of the reactors at the Chernobyl nuclear power station went horribly awry, leading to a series of explosions that spewed massive amounts of radioactive material into the atmosphere. The accident, which the Soviet authorities attempted to cover up, initially claimed only 31 lives: two plant workers who died in the blasts, a third who reportedly keeled over of a heart attack and 28 first responders who contracted acute radiation syndrome during the frantic early stages of the cleanup. 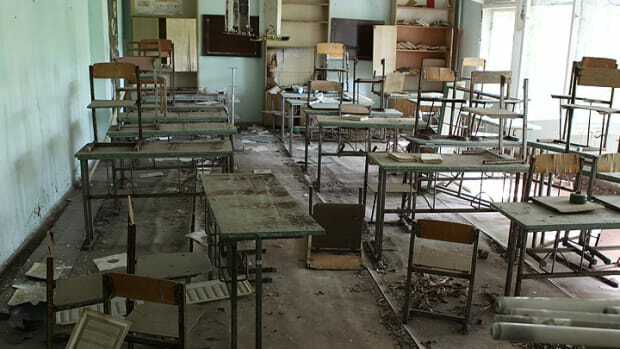 However, Chernobyl also unleashed a thyroid cancer epidemic and likely caused additional cancer cases as well. In 2005, a United Nations-backed panel calculated the eventual death toll at up to 4,000, whereas other organizations put this number significantly higher. 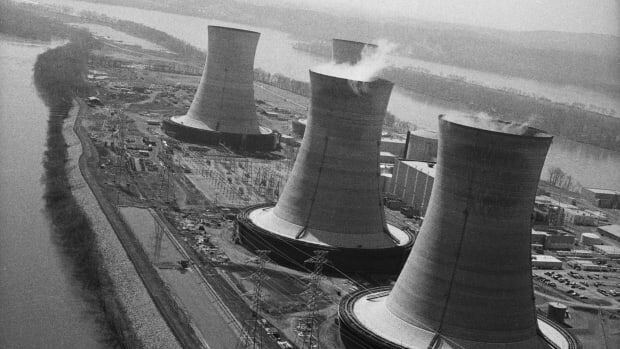 For perhaps centuries to come, an exclusion zone, set up around the plant following the forced evacuation of tens of thousands of area residents, will be off limits to human habitation. 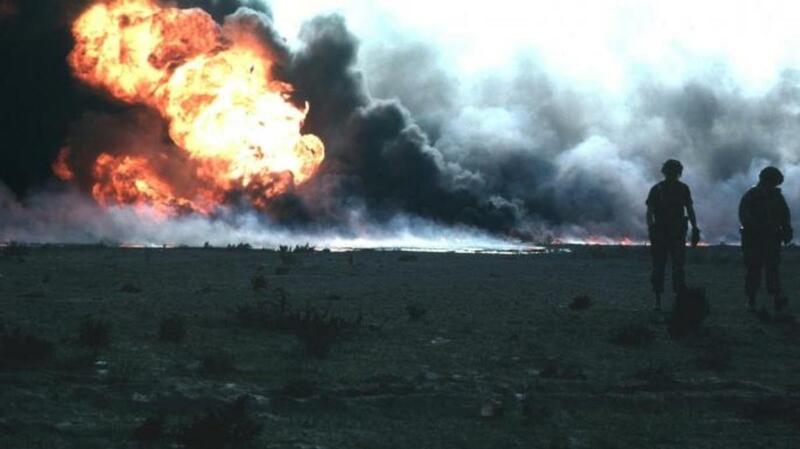 Seeking revenge for his imminent defeat, Saddam Hussein ordered retreating Iraqi troops to set fire to about 650 Kuwaiti oil wells at the tail end of the 1991 Persian Gulf War. Oily smoke plumes shot high up into the sky, darkening the sun and making breathing difficult for those who ventured outside. One U.S. environmentalist compared it to “standing behind the exhaust pipes of hundreds of malfunctioning diesel trucks.” Meanwhile, black rain, a mix of natural precipitation and smoke particles, fell as far away as the Himalayas; hundreds of oil lakes up to four inches deep blotted the landscape, fatally luring in birds who confused them for water; and a layer of “tarcrete,” sand and gravel combined with oil and soot, covered almost 5 percent of Kuwait’s territory. By the time the last of the blazes was extinguished that November, an estimated 1 billion to 1.5 billion barrels of oil had spilled out and more than 100 people were dead, including 92 Senegalese soldiers whose transport plane crashed in the smoke-blackened skies. Immediately thereafter, Hussein initiated another environmental disaster, draining the vast marshlands of southern Iraq in order to suppress a Shiite rebellion. On April 20, 2010, the Deepwater Horizon oil rig, located far out in the Gulf of Mexico, exploded into flames, killing 11 workers and injuring several others. The rig, owned by offshore drilling contractor Transocean and under lease to oil giant BP, then sank two days later, causing a petroleum leak that would gush out of control for nearly three months. According to the U.S. government, around 4.2 million barrels of oil ultimately escaped, contaminating at least 43,300 square miles of ocean and 1,300 miles of shoreline from Texas to Florida. Considered the largest accidental marine oil spill in history, it temporarily decimated the Gulf’s fishing and tourism industries and killed thousands of birds, sea turtles and dolphins. 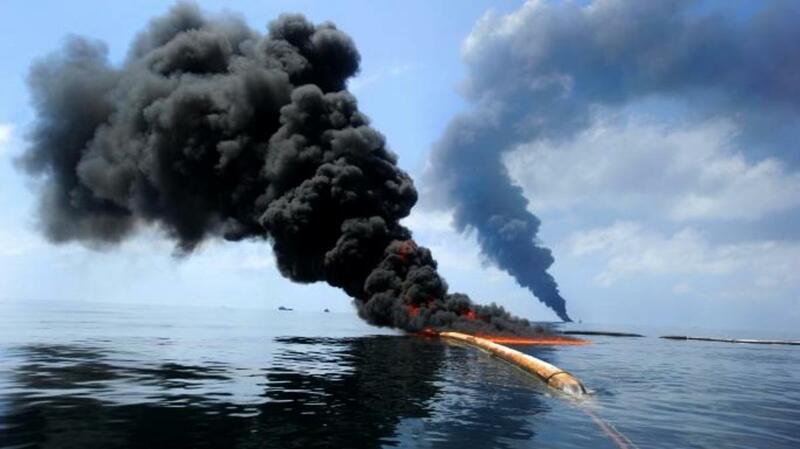 BP has since shelled out tens of billions of dollars in cleanup costs, fines and legal settlements.